You can export the deviation data of a well or multiple wells. In the wells tree, select the well that you want to export the deviations. You can also select multiple wells to export the deviations. 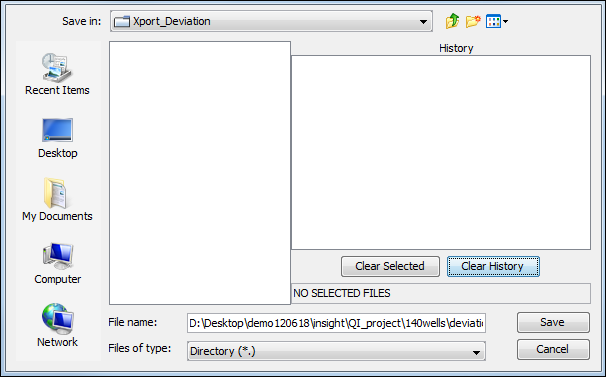 Right-click the selected well(s), click Export and select Deviation. Browse to the directory where you want to save the deviation data of a well and type a file name. 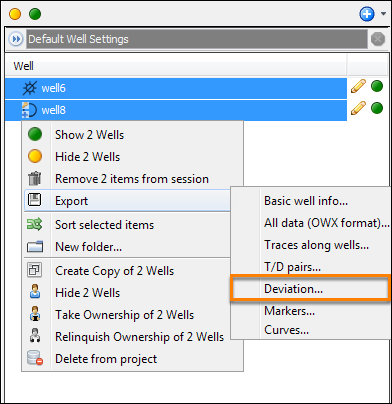 For exporting deviations of multiple wells, select a folder where you want to save the deviations. Note: When exporting deviations, only the active set of deviations that have been defined for the selected wells will be exported (see Selecting Default Well Components).